An Advent Song. 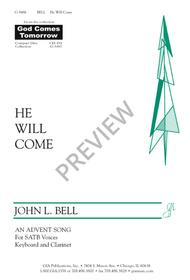 Composed by John L. Bell (1949-). Advent, Advent 1 A, Advent 1 B, Advent 1 C. Tune Name: Time And Place. Sacred. Octavo. 8 pages. GIA Publications #5486. Published by GIA Publications (GI.G-5486). Text by John L. Bell.